This is an updated list of the best Glutathione brands I've tried here in the Philippines this 2018. Please note that the views and opinion about each glutathione brands are based on my personal opinion and experience using the products. It's just a continuation of my "What's the best glutathione in the Philippines?" few years ago. 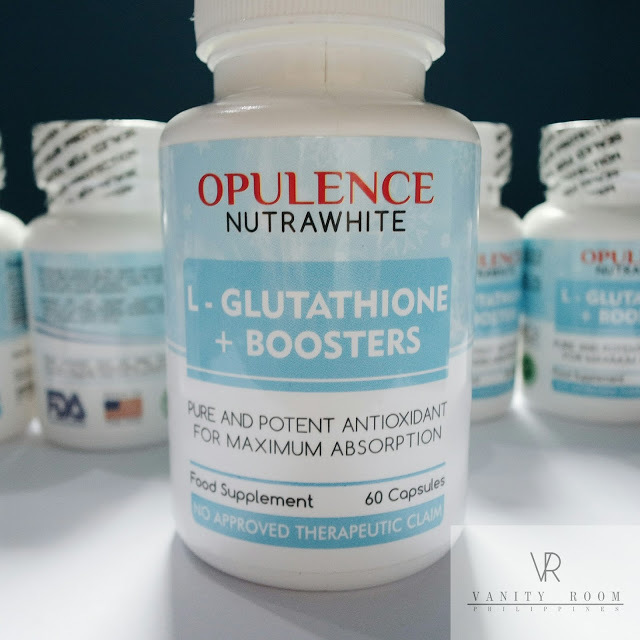 What's the best glutathione in the Philippines this 2018? Again, I wanna make things clear, this article was based on my experience and my personal opinion about the brands that I'm going to feature here. I'm not some sort of glutathione expert or a licensed pharmacist like Janine Togonon (Ms. Universe 1st Runner Up 2013) hahaha. 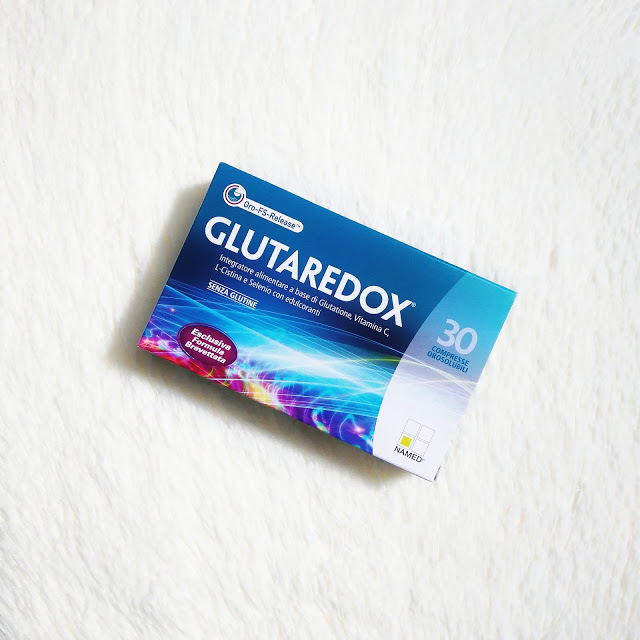 Glutaredox is a groundbreaking supplement that gives the same effect of a glutathione injection in a simple sublingual tablet. Its patented formulation of a high concentration of reduced Glutathione, Vitamin C, Selenium and L-Cysteine along with its Oro-FS-Release technology assures a 100% absorption rate which makes it superior compared to others. I finished the product for straight two months and I can confidently say that this product really works as skin lightening supplement. I have tried different glutathione brands and I can really tell if the product is working or not. It's my skin and body anyway! 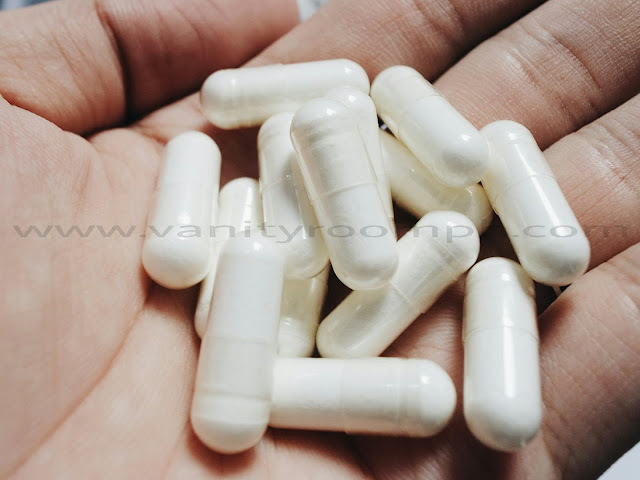 :D But the result was very evident to you my #VanityFriends because just like what I have said at the beginning of this article, you guys were asking me what supplement I'm currently taking because according to you, my skin looks lighter and smoother. You can read my full review by "clicking here"
I am really happy with the result and I can definitely tell that the Relumins Advance Nutrition Gluta 1000 is a steal! You guys should try this product because it's really amazing! As I have said, I wasn't expecting drastic change on my skin but this product still delivered astonishing result. Oh my gee! I need to get tan a little bit for me to review more glutathione and yeah, that's the life of a guinea pig haha! What I like about this glutathione is the milkish white effect it gives on my skin. As early as two weeks, I've noticed an obvious glow and I didn't experience acne breakout using Ishigaki Premium Plus. Ooopss did I mention that it's only P880? You can read my full review by "clicking here"
An amazing product from VidaNutriScience. Available in Watsons and Mercury Drugstores at P1,495. Like Ishigaki Premium Plus, it gives me a milkish white effect. I love that my skin is super glowing specially under the sun. 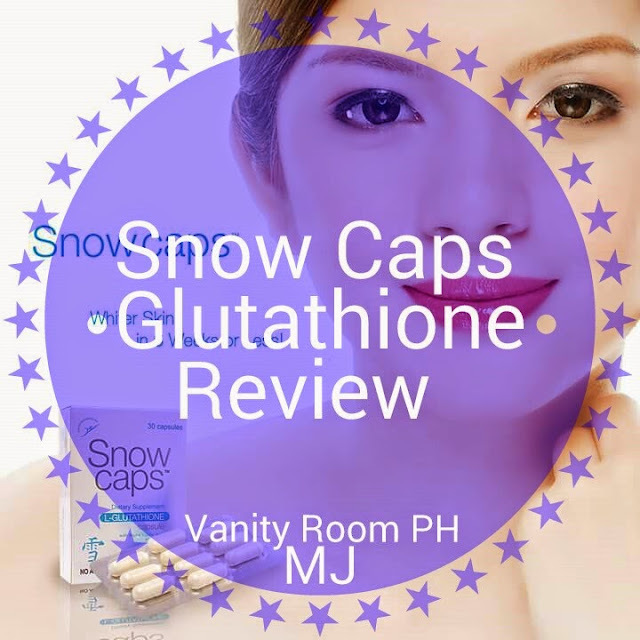 Took Snow for two months straight with 500mg vitamin c. You can read my full review by "clicking here"
Another budget friendly glutathione (P950.00) at Watsons. It made me recover from sunburn faster. 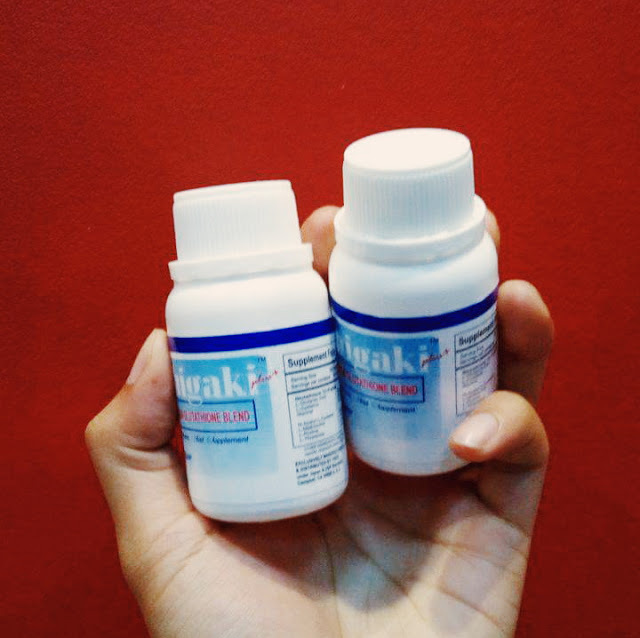 This glutathione gives a pinkish white effect which is perfect if you wanna achieve that "Tisay/Tisoy" looking skin. "Click here for the full review." I highly recommend taking the new Ishigaki Amino Classic White Glutathione. It's now FDA approved with better formulation and it really works. I am fair already yes, but it made me even fairer and I wasn't expecting that to be honest. This deserves to be included in our best glutathione in the Philippines. Yes the product is more expensive than before but I don't mind paying extra P200 for that better formulation. It's a way cheaper still compared to other glutathiones available in the market today. "Click here for the full review." 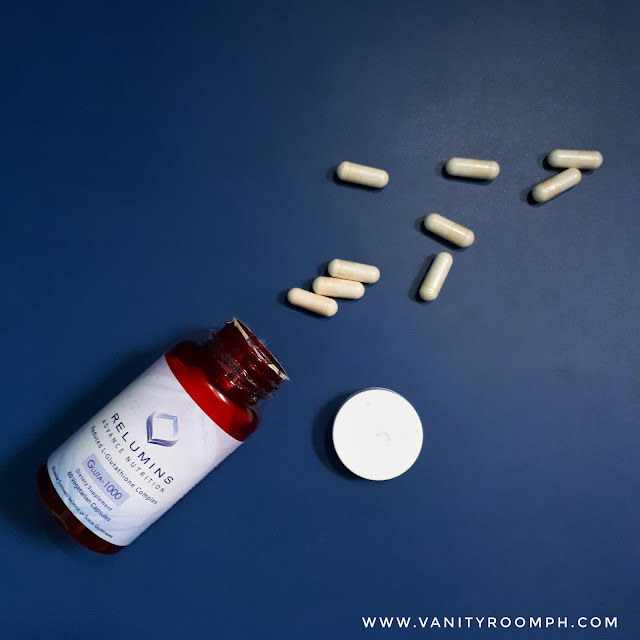 I braved myself to take the product without the vitamin c. At first, I was doubting if the product will work with just 100mg of vitamin c which is already included in the capsule. But! I was wrong! The product worked great! I've noticed that my tummy is behave when I'm taking Opulence Nutrawhite alone and people are complementing my skin for being glowing and fair. I received comments about my skin on the pictures that I've posted recently. "Click here for the full review". I take each capsules two times a day\and again the capsules are big but I don't mind it at all. I never experienced any breakouts, sickness or other negative side effects. I feel good everyday, it helps improve my mood and mental alertness, I knew it because before taking these, I easily get annoyed lol. Honestly speaking, I thought Relumins was just over advertised by EB BABES as they are having flawless white skin and hey! I must admit I'm wrong. 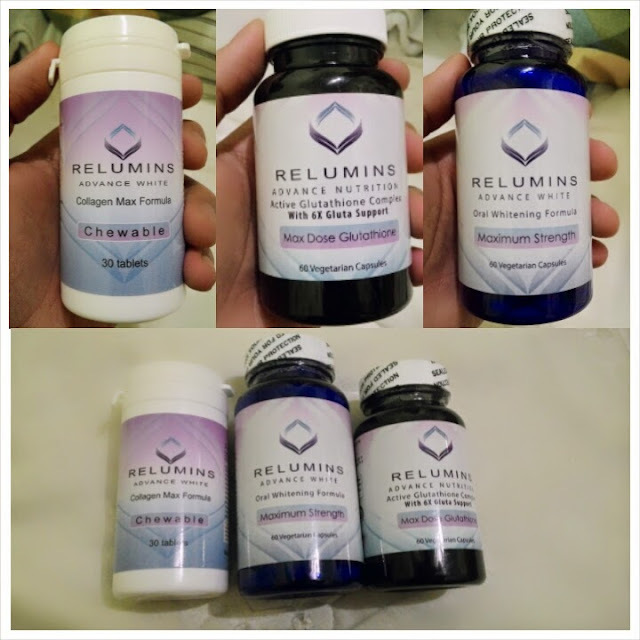 After Using Relumins for 3weeks my skin is noticeably glowing and having that flawless white skin. I super duper love how I look. Lots of people are complementing my skin, they say I have a kutis artista skin and I feel great hearing those! :) "Click here for the full review". 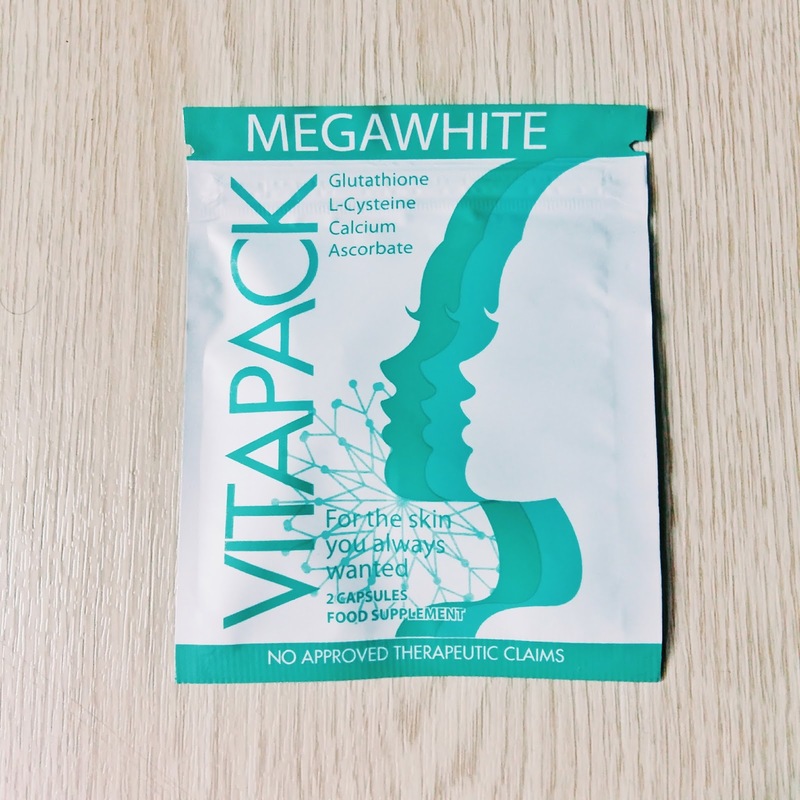 I'd also like to specify that I'm taking vitamin c together with glutathione to boost the effect and absorption rate of the glutathione in our body. I used to take Rhea Ascorbic Acid (P130.00 per 100 tablets available in all Mercury Drugstores nationwide) If you have a SukiCard, it's still P130 hahaha. Currently using sodium ascorbate because I have GERD. Also loving the KB Rosehips because it gives an added glow on my skin. 1. Everesh White Ex Review "CLICK HERE"
2. Tatiomax Glutathione Review "CLICK HERE"
3. Beauoxiwhite 12in1 Glutathione Review "CLICK HERE"
4. 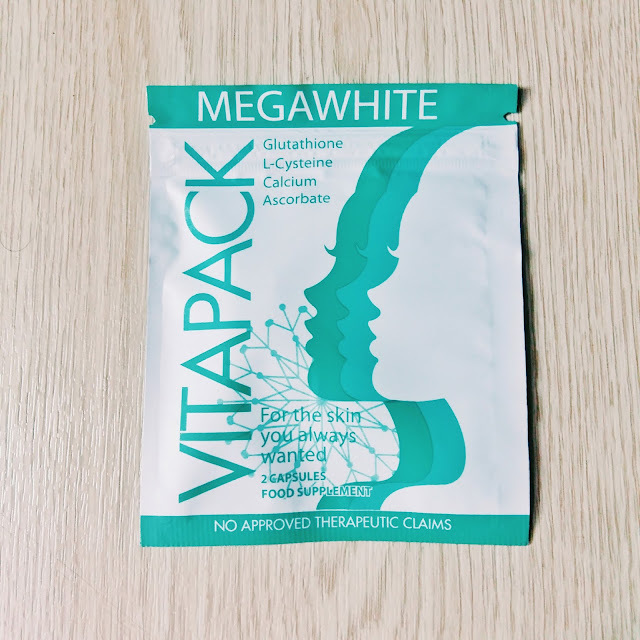 Glutathione for men "G4M" plus Rose C white Vit C Review "CLICK HERE"
Not because the product is good for me, it will be good for you too or it would deliver the same result. As I'm always saying, "hiyangan" yan. Take my reviews as a guide not as a pattern. Do your research and try what's best for you. 1.) I've listed "here" the best whitening soaps in the Philippines. 2.) "Click Here" to know the best whitening lotions in the Philippines. 3.) 5 tips on how to achieve fairer skin? "Click here"